The installation “M’horò suite. 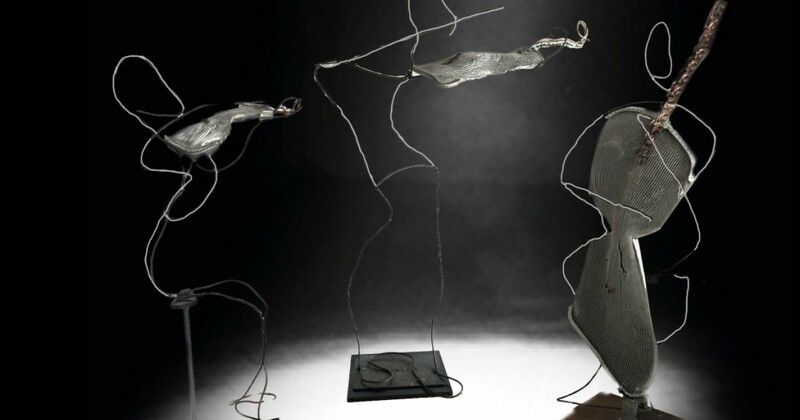 Sculptures… for orchestra” will be presented for the first time during Cremona Musica. The installation is inspired by the amazing and fascinating production/collection of works that the maestro dedicated to musical instruments. M’horò’s “instruments”, thin and very light aluminum chisellings made of industrial wastes, will welcome the visitors of the Fair, at the entrance, and will then parade along with their suggestion and “provocation” across the pavilions, in an imaginary journey through the legendary Stradivari, Guarneri, Guadagnini, Amati and the prestigious contemporary products of lutherie and the musil industry. Two years after his real arrival on the scene, M’horò may be considered the enfant prodige in the Italian contemporary artistic scene. The sculptor provides a constant shot of creativity turning into contemporaneity, always opening new scenarios. His visionary art develops to go beyond, with the pragmatic representation of immediacy of thought, of intuition in plastic research, in a timeless modernity that transforms inert objects into essence, into ontology. M’Horò is particularly appreciated by Vittorio Sgarbi, (who wrote in the introduction to his catalog: “with M’Horò you just have to see what is in front of you, nothing more: a great act of intellectual frankness, that renounces any facile projection of art pour l’artiste and passes the ball to those who are on the other side. For this alone, he deserves our total respect”). He is auctioned at extraordinary prices all around the world, after having crafted concrete shapes and refined sculptures with apparently unusable materials, scraps, industrial gears, M'horò surprises and amazes once again with this new technical luthier virtuosity, where instead of the ability to work and assemble wood, there is the ability to build a "metal filigree" in which the sculptural genius is associated with the charm and formal elegance of the strings, with spectacular creations that can be admired at Cremona Music in the stand dedicated to him. M'horó's suite, a specific and detailed project curated by Antonio and Salvatore Falbo, with Roberto Messina, Diego Giudici and the Minotauro Fine Art Gallery of Palazzolo sull'Oglio, Bs (www.galleriaminotauro.com) after Cremona will fly to important destinations in Italy (Courmayeur, Verona, Florence, Naples) and abroad (Toronto, New York, Paris, London, Muscat, Oporto) where exhibitions are being prepared. This happy marriage between M'horò and Cremona Musica, however, is destined to leave its mark, in the giving of the "M'horó Award": authentic jewel/prize sculpted by the artist, which Cremona Musica will assign, from this edition, to illustrious international musicians.